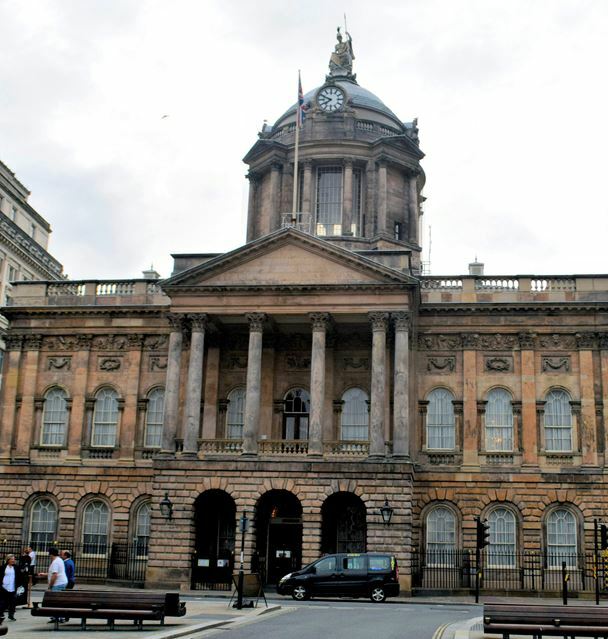 METRO Mayor Steve Rotheram is encouraging people and organisations across the Liverpool City Region to get involved in shaping the area's cultural future, and promising a strategy that will support creativity and cultural expression in every community. The call follows the publication of a Draft Cultural Strategy last week which itself came out of an intensive engagement with events and Roadshows in each of the City Region's 6 boroughs. The draft strategy has been formulated by the Local Cultural Partnership chaired by Phil Redmond and for the 1st time creates a framework to support cultural activity and events across the whole City Region. The draft is open for further comment and feedback until the 15 February 2018 and can be viewed on the Combined Authority's website. Steve Rotheram is keen to point out that dialogue and partnership will remain an essential part of the strategy as it's developed and delivered. He said:- "Culture was included in our devolution deal because it is such an important and distinctive aspect of our identity and what unites us a Region. Culture and creativity are integral to our international profile and brand and integral to achieving the vision for a prosperous, fair and desirable place to live, work and invest. We are about to experience a fantastic year to celebrate the 10th anniversary of Liverpool's European Capital of Culture. The commitment of the City, to culture, has been significant and once again will shine the spotlight on our City and City Region. The strategy will build on that legacy, celebrating culture in all its aspects and reaching into and supporting creative expression in every community and borough." Key recommendations in the draft strategy include a revolving annual grassroots cultural awards programme to promote creativity and excellence and a:- "borough of culture" initiative to ensure each that area can in turn host a programme of prestigious cultural events and celebration. Cllr Phil Davies who holds the Culture portfolio in the City Region Combined Authority said:- "As the Combined Authority Lead for Economic Development and Culture, I have been determined to develop an ambitious and long term strategy to further enhance the Liverpool City Region's culture and creative sector. This sector is an essential driver in stimulating creative entrepreneurialism and is also instrumental in generating substantial growth for local, Regional and national economies. Over the last few months we have spoken to hundreds of local people, groups and organisations in the creative sector who told us what they valued about culture, what was important to them, and what their ideas were for improving what we do. I am proud that this ambitious draft strategy captures those views and creates an important framework for delivering our exciting plans for growing the culture and creative sector across the Liverpool City Region. I encourage everyone to give us their ideas through our consultation over the next couple of weeks." Commending the strategy, Phil Redmond emphasised the importance of culture and creativity at a time when the City Region and the world are poised on the threshold of profound economic, social and political change. He said:- "The world is forever changing and no 1 is ever sure that the future will look like, especially the future world of work. Currently, change is probably happening at a faster pace than has even been seen before. That is why culture is so important. It's what binds us all together. It's the sum of all our creativity and the catalyst for change. But change needs to be managed and therefore needs a strategy that addresses the world of work. In the 21st Century how will the work-life balance shift and how can culture, as the catalyst for change, help us to understand far reaching and rapid change? How will it help us to become flexible and adaptable? This requires a collective act. To remember our shared past, present and future; our collective culture. To remember where we came from. Remember what we already have. But above all, remember that the best is yet to come." ST. Joseph's Hospice, in Thornton, is looking to recruit 6 new Registered Nurses to its clinical team and has enhanced its clinical salaries and holiday entitlement. The Hospice is also in the process of enhancing its benefits package and will also honour the NHS pensions of any new recruits. According to the Care Quality Commission (CQC), the Hospice's clinical staff are "kind and caring" and they "treat patients with respect." The CQC also said its staff have a "good knowledge of safeguarding procedures" and receive "a good level of support and training" with "access to a variety of training courses." 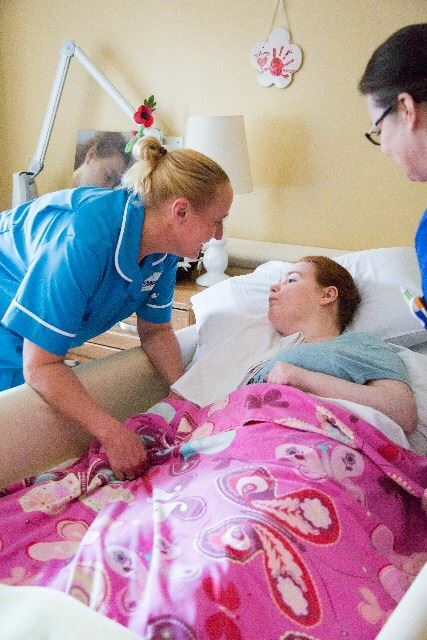 The Hospice says it's nurses are committed to providing high quality, end of life and palliative care to its patients, as part of a multi disciplinary team, and so they're looking for new recruits who will make a real commitment to the provision of this excellent care. Clare Waller, Clinical Director at St. Joseph's Hospice, said:- "Nursing is 1 of the most rewarding careers there is and being a Hospice nurse is quite simply a vocation. Our nurses are a lifeline to our patients and their families and are often considered as a part of the family, caring for them all during a very difficult and distressing time. At St. Joseph's Hospice, we've been through a significant period of change over the last 18 months but the future looks bright and we're looking for some real nursing talent to come and join our professional and compassionate team as we move the Hospice forwards in 2018." To find out about more the Hospice's current vacancies, or to apply, visit:- Jospice.Org.UK. To speak to someone about the roles, please call Nadine Givens on:- 0151 924 3812 or email:- Nadine.Givens@Jospice.Org.UK.